Chiu Chow is situated on the coast of South China Sea, and is not far from Hong Kong. In 1906, Chiu Chow clan elites residing in Hong Kong, namely, Fong Yeung-chau, Choi Kit-sze, Chan Tin-san, Chang Chung-ping and Wong Siu-ping, proposed to establish a Chiu Chow chamber of commerce for the well-being of Chiu Chow people. 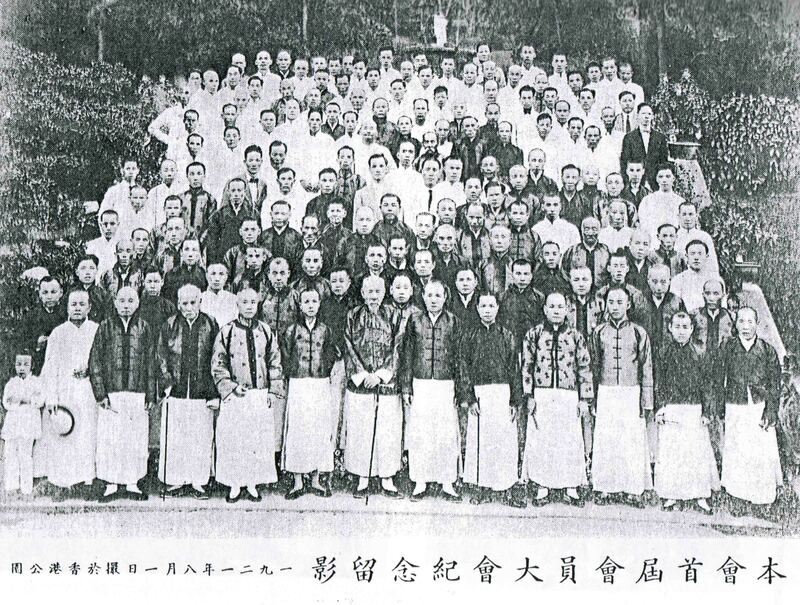 After thorough discussions and planning, a preparatory meeting was convened in the summer of 1921 to raise funds, pass the statutes, and “旅港潮州八邑商會” was subsequently founded. After World War II in 1945, Mr. Ma Ze-min, the Chamber”s pioneer, restored the Chamber upon the request of its members. To keep pace with the fast changing social trends, its Chinese name was officially changed to “香港潮州商會” (Hong Kong Chiu Chow Chamber of Commerce). Along with the economic take off of Hong Kong in the 60”s, our people shared in the remarkable success in financial, real estate, industrial and commercial sectors, not to mention the prominent figures in both political and cultural fields highly esteemed by the public for their outstanding services and contributions to the society. As the Chamber assembles Hong Kong’s most outstanding Chiu Chow leaders from political, economical and cultural circles, its reputation and influence grow day by day. Chiu Chow people make up about one fifth of all overseas Chinese. In 1981, at the 8th Teochew International Convention, we resolved to foster both friendship and trade internationally. We are committed to exert our best effort for this noble ideal. The Chamber has been expanded for its unaltered commitment of building a prosperous and harmonious Hong Kong. In 1992, during Mr. Sebastian Lau Ki-chit’s presidency, the “Young Executives Committee” was set up. In 2012, President Dr. Stephen Chow Chun-kay established the “Women Committee”, the “Civil Affairs Committee” and the “Cultural Affairs Committee” for the enhancement of the Chamber”s development. We constantly offer constructive advices to improve the political-economic system, which have been highly valued by our clansmen and the general public. The Chamber has attached great importance to the cultivation of talents by establishing various schools. The Chamber also provides scholarship for students with good conduct and academic excellence, up to university level, to overcome their financial difficulties and continue their studies. The Presidents and Directors of the Chamber have been active in charitable and social welfare. Apart from attending to the Chamber’s affairs, its members also take up predominant voluntary work in various renowned charitable institutions. The Chamber is committed to upholding the society”s prosperity and stability. We strive for the betterment of Hong Kong. 9th Floor, 81-85 Des Voeux Road West, Hong Kong.